These birds are conspicuous because they gather in large groups flying rapidly and darting together while chattering loudly between the trees. 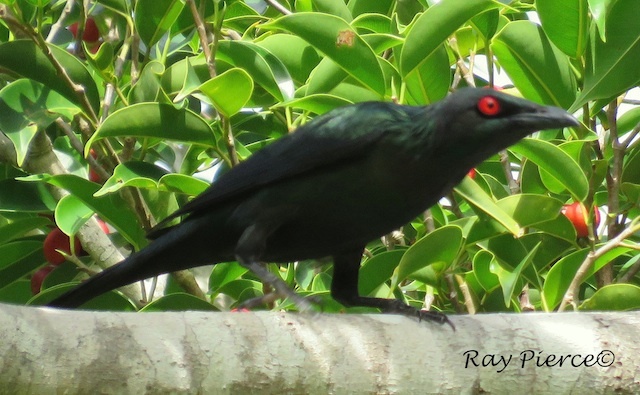 They have bright red eyes and glossy metallic feathers. In large flocks, they nest in colonies with bulky nests in a single large tree of ten at the edge of the rainforest.